There are different forms of business ownership that are currently recognized by the governments of various countries. Some of the business ownership includes sole proprietorship, partnership, and companies. There exist some significant differences between partnerships and companies. A partnership is a type of business that is owned by two people. The owners of the company contribute resources, management skills, and make decisions on how the company will operate on a daily basis. Some of the benefits enjoyed by the partners include quality decision making and capital contribution. However, the partners may experience some challenges because they have to share the profits of the organization. A company is a legal entity that is formed when a certain number of people come together with the same intention of providing goods or services to the customers. Some of the advantages of a company include being a legal entity and quality decision making. However, one of the main difficulties facing companies is strict regulation from the government. One of the main differences between partnerships and companies is the formation structure. 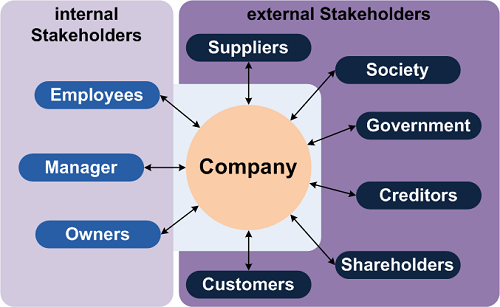 Companies have a complex structure due to their large number of people involved in the formulation of the company. The people forming the company include the shareholders who employ a management team to run the company on their behalf. This means that a company has a complex organizational structure with hierarchy a bureaucratic root in which decisions and instructions flow. On the other hand, a partnership does not have a complex organizational structure because it involves two people combining their efforts and strategies to offer goods and services to people. There are no structures in a partnership because the owners make decisions, which influence the working of the partnership. The other difference between partnerships and companies is the costs involved in the formation of these types of businesses. Companies involve high costs of formulation due to the legal requirements that the government puts in place to ensure that a company has met all the required fundamentals. It is important to highlight that formulation of corporations include a lot of administration costs and complex tax requirements. Besides, there are many employees involved in the formulation of a corporation, which increases the cost of forming a company. This is not the same when it comes to the formulation of a partnership. Partners are just required to register the business with state and obtain local or state business licenses permits. Another difference between a company and a partnership is the issue of liability. For a partnership, the owners of the organization are purely responsible for the liabilities of the organization. In case of the dissolution of the partnership, the properties of the partner members will be taken to pay for the liabilities of the partnership to pay the debts involving their company. Therefore, all the legal liabilities are bestowed upon the partner members, which is one of the main disadvantages of a partnership. It is also essential to note that partners include a partnership agreement, which states the percentage of the partnership he or she owns. On the other hand, a company is a legal entity, which shields the owners of the organization from being liable for the debts of the company. It is important to understand that owners of the organization and other shareholders are not at risk of losing personal assets. The method of taxation is another aspect that differentiates between a partnership and a company. A partnership does not pay taxes as losses and profits are passed to the individual owners upon which they pay the income taxes. It is worth noting that partners have to file a tax return which shows their share of profit or loss from the partnership and other incomes upon which they are taxed. This is different from corporations which are taxed directly by the revenue collecting body. It is worth noting that a company is a legal entity which means that the taxes of the company cannot be passed to the individual owners of the organization. Corporations pay both state and national taxes while shareholders pay their taxes, which are based on salaries, bonuses, and the dividends that they receive from the profits of the company. The life of a company and that of the partnership forms a significant difference between the two forms of business ownership. It is important to note that the life of a company is formulated such that it can last in its entirety. Its existence is not affected by the change of the membership or death of any of the members of the organization. Besides, a company’s life may not be ended due to the insolvency of one of the members. On the other hand, there are specific situations upon which the life of a partnership can come to an end. Some of the main incidences that may lead to the end of a partnership include the death of one of the members, insolvency, or insanity of any one of the partner. Lastly, shares or units of a company can easily be transferred from one person to another unless restricted by the articles of the organization. On the other hand, a partner cannot transfer his share without the consent of all other partners. This explains why the shares of an organization are traded on the stock exchange while the shares of a partnership are no traded in the stock market. Both company and partnership are forms of business ownership, which are adopted around the world with individuals preferring different ownership methods concerning the benefits associated. It is also worth noting that people forming a partnership are referred to as partners and are not more than two while owners of the company are referred to as shareholders and are between two to twenty in a private company and seven to unlimited in a public business. Jecinta Morgan. "Differences Between Partnership and a Company." DifferenceBetween.net. October 25, 2018 < http://www.differencebetween.net/business/differences-between-partnership-and-a-company/ >. Agarwal, K. "Difference between Partnership and a Company." (2017). .
Kunz, Marnie. "5 Major Differences Between a Corporation and a Partnership." (2017). .
Parikh, Vinish. "Difference Between Company and Partnership." (2009). .